Maine Senator Susan Collins (R) met Tuesday with Donald Trump’s supremely unpopular Supreme Court nominee, Judge Brett Kavanaugh. Kavanaugh’s record and judicial philosophy, which Maine Family Planning helped parse for this Suit Up Maine report released last week, indicate extreme hostility toward reproductive rights in general and abortion access in particular. This is troubling enough, to say nothing of how his nomination poses a threat to workers’ rights, protections for LGBTQ people, the environment, and critical programs like Medicaid and the Affordable Care Act. On the campaign trail, Donald Trump vowed to nominate justices who would overturn Roe v. Wade; Kavanaugh and other short-listed nominees were vetted by the anti-abortion Federalist Society. Less than one year ago, Kavanaugh told the conservative American Enterprise Institute that he agreed with Justice William Rehnquist’s dissenting opinion (7-2) in the Supreme Court’s 1973 decision of Roe v. Wade. Like our allies nationwide, we are deeply concerned by this statement. For one thing, the term “settled law” doesn’t mean much of anything. Advocates and journalists alike pointed out that justices have overturned settled law many times. Yet Roberts also refused to say how he feels that the principle of stare decisis should apply to specific cases such as Roe, instead laying out several vague principles that should guide judges in deciding whether to overrule precedent. These principles include an inquiry into whether the precedent has “settled expectations,” whether the precedent has proved to be workable, and whether subsequent decisions have eroded the basis for the original decision. But whenever he’s been given the opportunity to apply his principles to abortion rights, Roberts has swiftly and readily revealed an eagerness to roll back reproductive freedom. Furthermore, all this focus on Roe ignores the current reality of abortion access in the US. Barriers to meaningful abortion access already abound, such as the Hyde Amendment and state restrictions like Maine’s “physician-only” law, which Maine Family Planning is trying to overturn in court. These obstacles disproportionately impact poor and rural patients, and people of color. 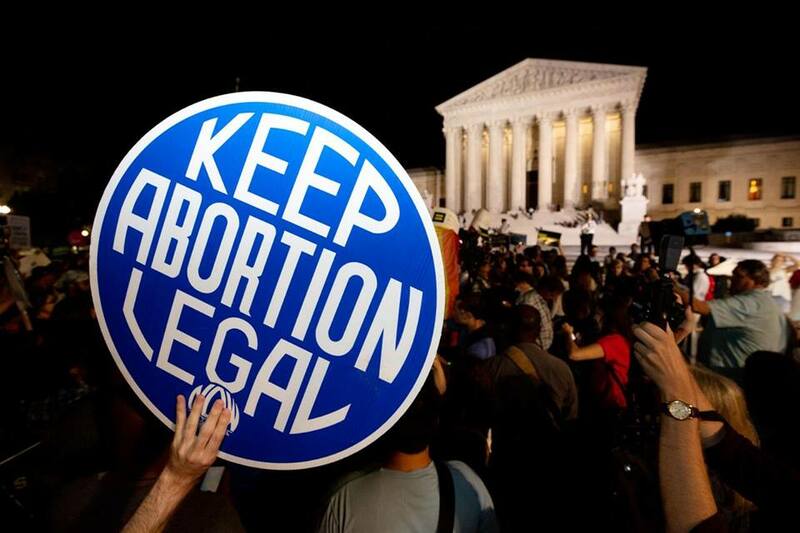 By upholding or expanding such restrictions, the Supreme Court could “effectively decimate women’s access to abortion, even without overturning Roe outright,” as Talcott Camp wrote last month for the ACLU. With an anti-abortion majority on the court, abortion care could be pushed out of reach for all but those with means. Collins has said she won’t make a decision on Kavanaugh until after his confirmation hearings, which are slated to begin September 4. The prospect of a Trump-era Supreme Court reminds us that the fight for reproductive rights is moving to the state level. The states are where we have the power to protect and expand access to abortion care. Should Roe fall, abortion access is protected in Maine state statute through the Reproductive Privacy Act. This right is not enshrined in the state constitution, as it is elsewhere. The Reproductive Privacy Act could be repealed in the course of one legislative session — and that’s why Maine Family Planning is urging voters to find out where all their candidates for state office stand on reproductive rights ahead of Election Day 2018.